Whether you are looking to store items from your business or home, Alamo Self Storage has the sizes to fit all your self storage needs in the Santa Barbara area. Figuring out how much storage space you may need can be a challenge. Our managers at Alamo Self Storage are here to help. Just give us a call at 805-684-6674 so we may assist you in determining what size will best fit your needs. Our managers are an excellent resource. They can advise you on how to pack and store your items, which will give you better access and save you money. Below are some simple self storage tips to get you started. 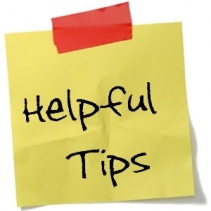 The first step in preparing to store your belongings is to make a list of items that you plan on storing. Bring this list with you to our facility prior to storing your items. This will give our managers a good sense of what size will work with what you have. You may preview unit sizes to help select the proper one for your needs. 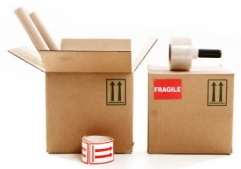 Figure out which items you plan on packing into boxes, as these will be stacked to save space. Box up as many items as you can. Self storage units can get dusty. Clearly label all boxes on at least one side so you can identify the contents down the road. Tightly seal all your boxes with packing tape to prevent dust from entering. Wrap valuable furniture with protective bubble wrap and use plastic covers for mattresses. Plan ahead of time and store items at the front of the unit which you may need to access more frequently. When packing items into your unit, be sure to leave a small walkway down the middle so you still have the ability to access items tucked away in the back. Unload the largest items first and place them towards the back of the unit. If you are storing furniture, see if you can break the furniture down into smaller pieces. Store large furniture vertically to save space. For example, you can store a sofa on its end, which will save a lot of space. Store items like clothes, pillows, bedding inside a dresser. Use trash cans to store things like hoes, rakes, and shovels. Clean all appliances prior to storing them. Be sure to remove any water from hoses of washers, refrigerators and dishwashers. If you plan on storing a refrigerator, be sure it’s clean and dry. Leave the door slightly open to prevent mold from forming inside. Any loose parts on appliances such as glass or fragile pieces should be wrapped with bubble wrap to prevent damage. Do not store anything flammable or combustible! This includes gasoline, propane tanks, motor oil, grease, guns, ammunition, hazardous or toxic waste. If you have a question regarding what you can and cannot store, please consult with our self storage manager before you store any items.